GET SOMETHING IN YOUR EYE? FILL A BOWL OF WATER BIG ENOUGH - ProudMummy.com the Web's Community for Mums. GET SOMETHING IN YOUR EYE? 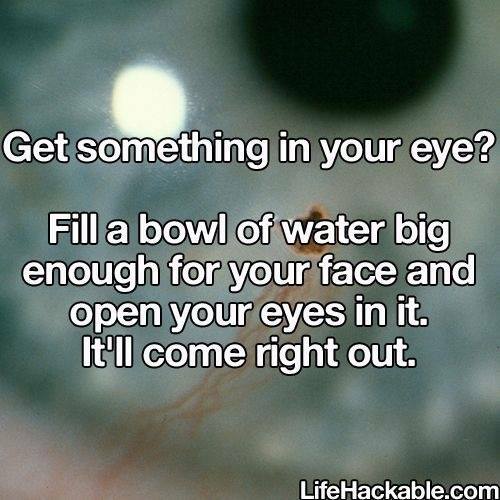 FILL A BOWL OF WATER BIG ENOUGH FOR YOUR FACE AND OPEN YOUR EYES IN IT. IT'LL COME RIGHT OUT.